UMNO's Lokman Says "Islam And The Malays Are Being Trodden Upon By The DAP Regime"
He said this after being criticised for the attack on a group of UM students. Lokman, while leading the group of former premier Najib Abdul Razak's supporters, who in photos taken during the attack appeared to slap a student, claimed that the supporters actually prevented a UM student from being beaten up by the "public". Unrepentant in the face of criticism by UMNO's Khairy Jamaluddin and Selangor UMNO Youth deputy chief Amin Mohd Shukor, Lokman instead claims that his actions during the incident were simply resonating with the sentiments of the common people. 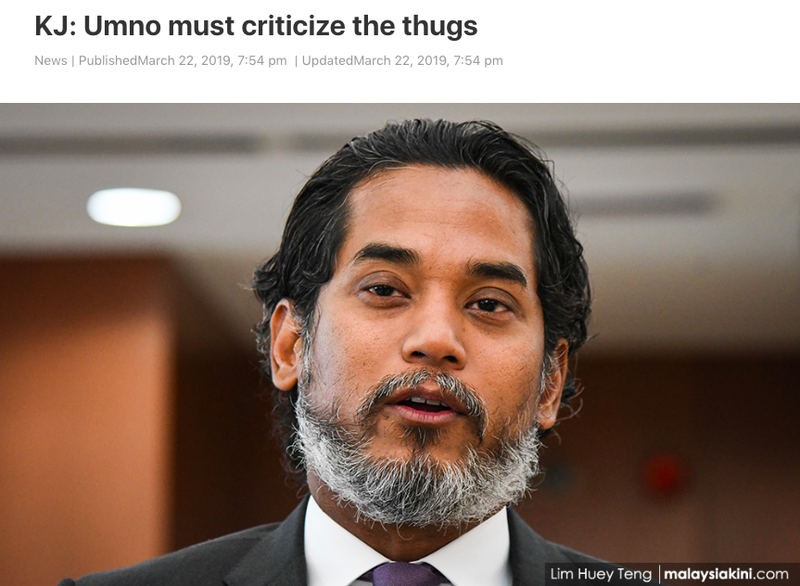 Following the manhandling of young student protesters by Loman and the group, ﻿Khairy tweeted, saying that UMNO must condemn "this thuggish behaviour." 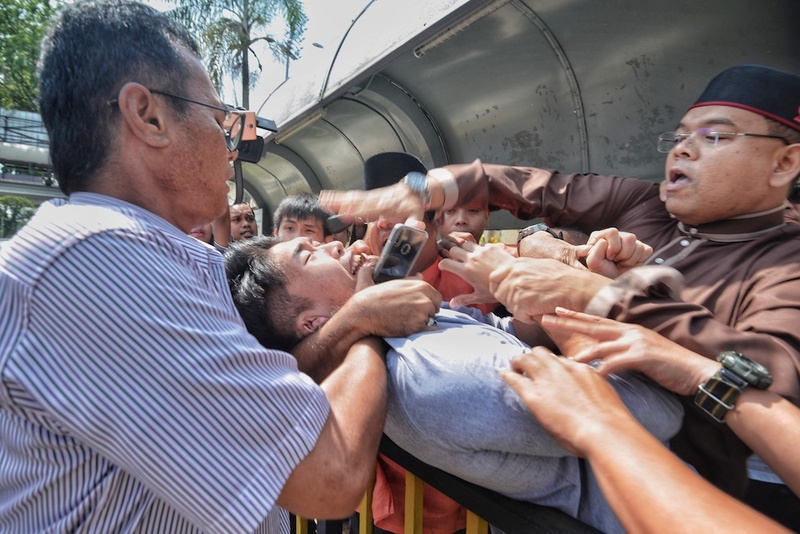 However, Lokman believes that the student who was manhandled during the protest should be grateful that UMNO members "rescued" him from a beating. "My message to Amin and KJ is this, the age where Islam and the Malays are being trodden upon by the DAP regime or the theory of behaving cool and masculine as a handsome Hindustani film star has clearly failed to attract the attention of youths. "The rakyat is being oppressed by rising living costs, the withdrawal of various subsidies by those in power, increased curtailing of freedom of speech, the increased dispute of Islam and Malay special rights, and the failure to fulfil promises and many others," read Lokman's post, as translated in English by Malay Mail. He further tells both Khairy and Amin to stop criticising him and instead go read the comments on his Instagram so that it comes "easier for the both of you to understand the rakyat's pulse"
"To make it easier for both of you to understand the pulse of the people, try reading my Instagram comment space when I upload the video of the DAP kid's provocation last night before you guys try to look and appeal like the Hindustani movie star. "The people today seek leaders who will struggle for their fate, by targeting the Pakatan Harapan leadership, not among party members. "Read, dear KJ, and do not bald your head like Rajinikanth when your beard fails to attract the youths' attention," Lokman added, as per the translation by Malay Mail. A screenshot of a Malaysiakini's report, in which Khairy is seen sporting a bearded look. Lokman shared the screenshot in his Facebook post.